Our lives have inevitably spilled over digital and this also proves true for the customer experience. With more and more people gaining access to the internet, customers now find it comfortable to express their feedback on the world wide web. While the internet is a wonderful place to discover new products and brands, there is also that danger of having one negative feedback go viral. In this era of free speech and cheap data plans, you can never really prevent your customers from posting negative comments about your products and services. An effective way to control the situation is to catch that negative comment or feedback and address it, before it spreads like wildfire and do more damage. And how do you do that? Some social media websites provide a feedback mechanism but this is just the tip of the iceberg. How about the other pages on the internet that talks about your product? Why don’t you try using social listening tools? These are websites or apps designed to crawl the internet and find all things related to your product, whether it be from a blog post, a social media website, or a news website. Here are some free social listening tools you can use to know more about what your customers are saying about you. 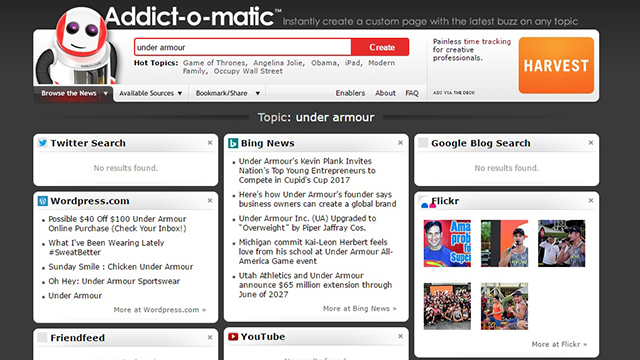 Addict-o-Matic works like a search engine. Simply type your brand name or a specific product name of your brand in the search bar. Addict-o-Matic then shows all recently uploaded entries on what you searched and segments the results based on different platforms. For example, if you search the name of your restaurant, Addict-o-Matic replies with all the newest YouTube videos uploaded about your restaurant, blog entries from WordPress, and even Bing News for mentions. 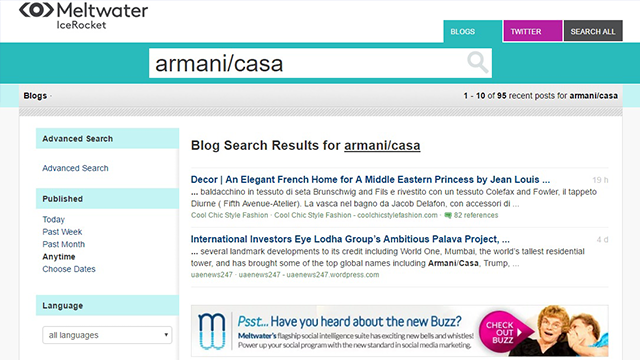 The different platforms or websites where your search appears is also customizable. For example, if you want to check more feedback on Twitter and Facebook, you can simply move those boxes up the page so that the next time you search, you can see results for those websites first. If you’re saving time and you want to get automatic updates if you’re being talked about on the internet, try Google Alerts. It is connected to the main Google search platform and it is just as easy to use. 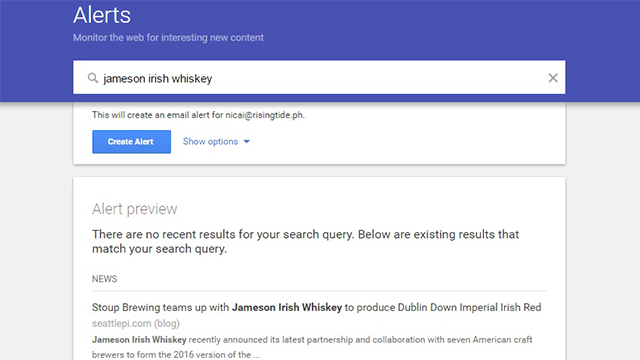 Just type your company or brand name in the search box and it will show you the latest results and different websites where you are being talked about. Of course, you don’t have time to go back to the website and search again every few days or so. The good thing about Google Alerts is you can set up the alert in such a way that every time you are mentioned, Google Alerts will automatically send that new item or upload it in your email. You can even customize it to only deliver it in the frequency you choose. For example, you can opt to receive alerts daily or just once a week. IceRocket is your spy in the blog and Twitter world. The social listening website specializes in searching for blog entries and tweets about you or your brand. 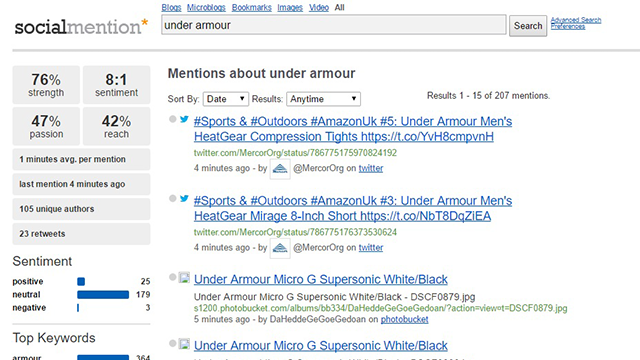 Just type in your company name or product name and you can see the results per tab. Just switch tabs between Blogs or Twitter if you want to change your filter. You also have the option to get all results coming from different websites as well. You can also get a more specific result and narrow it down by domain, author, language, publishing date and more. If you are a web developer or you own an e-commerce website, SharedCount will be helpful to you because its search engine specifically searches the social counts and mentions of a URL or website. This will definitely help you track the social popularity of your website and also analyze where it needs more attention. To use SharedCount, just paste a URL into the search bar. After clicking the add button, you can already see how many likes and shares it has earned on Google+, LinkedIn, Pinterest, Facebook, etc. 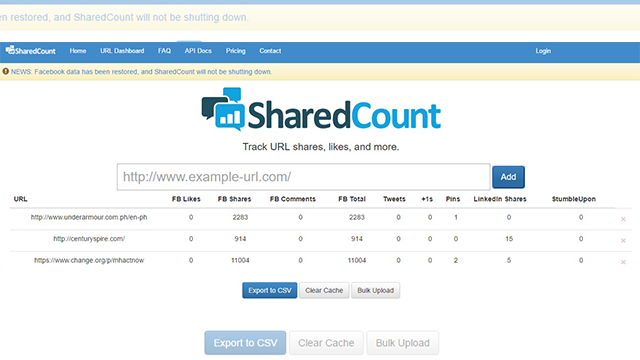 SharedCount also logs your past searches, so this is beneficial if you are managing different websites. You can easily compare the stats of social popularity of your different websites side-by-side. Those who enjoy using Facebook Insights and Google Analytics will also like Social Mention. It’s like a search engine with analytics that measures passion and sentiment. Just input a phrase or a brand and it will not only give you page results of your search keywords, it will also show you the strength of search and reach of those pages where the keywords are mentioned. It will also tell how frequent your search keyword is mentioned (ex. your brand). It can even tell you when it was last mentioned in the web. For sentiment, it can analyze whether the mention about your brand is positive, negative or neutral. Is social media analytics really worth it?